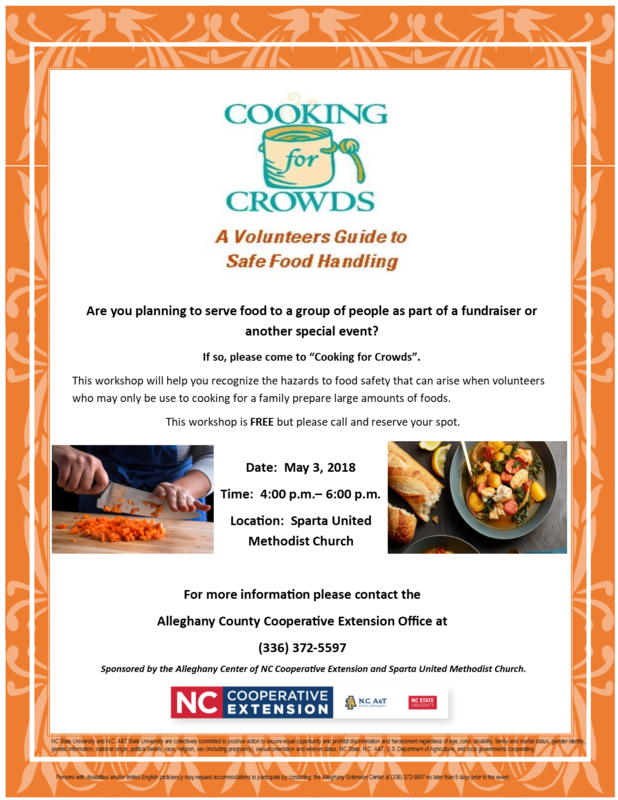 Please join us for “Cooking for Crowds” on Thursday, May 3, 2018, from 4:00 to 6:00 p.m. at Sparta United Methodist Church. You will learn how to safely prepare and serve food in large quantities, the cause of foodborne illnesses, how to control time and temperature of food, and much more! The workshop is FREE, but please call (336) 372-5597 and reserve your spot. • Cooking for Crowds - a Program for Churches, Fundraisers, & Events!